Presented a paper at the 12th Congress of the ASEAN Valuers Association (AVA) in Ho Chi Min City. 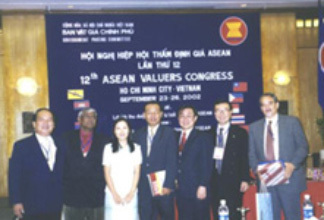 Dr.Sopon Pornchokchai, AREA President, presented a paper at the 12th Congress of the ASEAN Valuers Association (AVA) in Ho Chi Min City. He is a board member of the AVA as well.